Fig. 1. 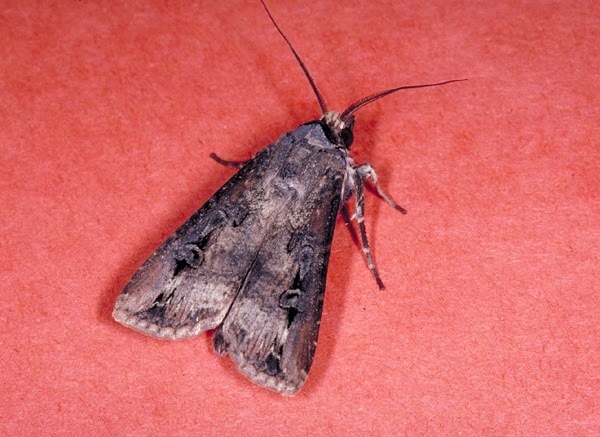 Black cutworm moth. Capture of black cutworm moths in the IPM traps has been above the rolling five year average for the last several weeks. The activity of this insect has been notoriously difficult to predict over the years, even with years of data on its’ flight activity. Nevertheless given that the moth capture is above “normal” and we are experiencing unusually cool and damp weather, it may be that we should keep a closer check on our young corn plants. Armyworm Moth Flight Takes a Down Turn! The most recent capture number for armyworm moths in the UK-REC trap shows a decided decrease, down to 87 moths/trap-week. This is an overall good sign that no large population is in the offing. This does NOT mean that any specific field will not have a problem population, only that there is unlikely to be a widespread large problem. Fields should still be scouted. Though delayed by several weeks, capture of armyworm moths in the UK-IPM pheromone baited traps is starting to show a definite increase. The delay is not unexpected given the very cold winter and cool wet spring we have had so far; but the size of the population is still in question for the same reasons. FHB Risk Low, But Will This Last? Early wheat varieties are now headed out and some are flowering in southern Kentucky. 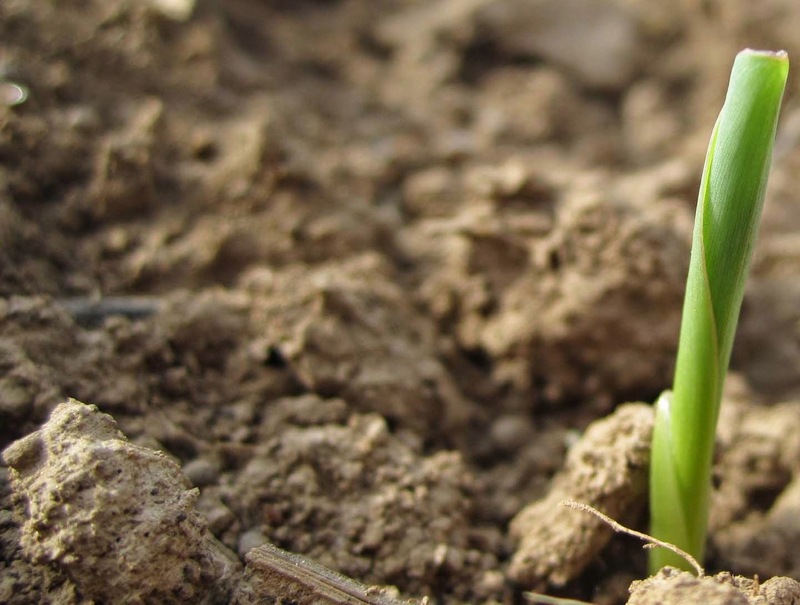 In many other fields, wheat is in or entering the head emergence stages. FHB fungicides will begin to be applied about the middle of next week and will continue for about 2 weeks. Presently the risk is low across Kentucky, but rains being forecast for this weekend and mid next week suggest to me that the FHB risk could change rapidly. Recent warm conditions with adequate soil moisture have likely encouraged the FHB fungus to become active in residue and I sense that any significant rainy period over a 2-3 day period could prompt spores to be released. If this occurs in the vicinity of or downwind to a fully headed wheat crop, the FHB risk could be considerable. If I had a decent wheat crop and it would be fully headed by this weekend to mid next week, I would seriously consider spraying an FHB fungicide, such as Caramba or Prosaro just before, at or up to five days after the target 10.51, early flowering timing. The risk map is green for now across KY, but I do not think that status will hold. I hope I am wrong. Corn planting is slower across the majority of Kentucky this year. Again, we are faced with the temptation to get into fields as soon as possible. Simply having some corn in the fields will help us sleep better at night. But if we get into the fields too early we may have nightmares later in the season. Getting into a field one day too early often leads to sidewall compaction, which can severely hurt yields.